Blogging can be a very effective element of your marketing mix. For example, an online retailer realized a 172% ROI from its blog. Of course, as with any marketing tactic, just having a blog is not enough. So, if your blog is underperforming, or you haven’t yet begun to invest in this content channel, perhaps it’s time for a tune-up. 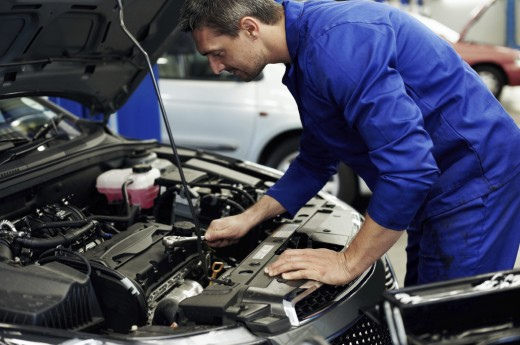 Inspired by the come-ons from the local oil and lube joints for “160-point winter readiness car inspections,” here is an eight-point analysis you can conduct to identify areas for improvement – and we all have them, the MarketingSherpa blog is no exception – on your blog. On many blogs, the frequency and cadence of the blog posts is sporadic. You might see a blog post on Wednesday, then one on Friday, then no posts for a week, then two on Thursday. An element of effective content is consistency. Let the journalists of the world be your guide here. For example, I have a weekend subscription to my local newspaper, The Florida Times-Union. Every Saturday and Sunday, a newspaper waits for me on my driveway. If I were to stumble out of my house one Sunday morning – Tony Soprano-style – to find no newspaper waiting, well, I’d start to question the quality of the newspaper. If it just happened once, I would probably not think too big a deal of it. But, if the newspaper was no longer reliably on my driveway on the weekend, I would start to question the reliability of the information in it. That said, you have a tough challenge to face as a content marketer, because you can’t sacrifice the quality of your content for a reliable cadence. To serve both masters – content quality and reliability – you need to set up an editorial calendar you know you can consistently over-deliver on and build up a queue of content. In other words, if you’re writing your blog posts the same day they are posted, then you have a problem. For example, I’m writing this post on February 15. That queue will wax and wane in size as you become busy with other duties, but it is your insurance and buffer against missing a scheduled deadline. You can still add some real-time posts to take advantage of general news or changes in your industry. Just make sure you have plenty of high-quality, evergreen posts in your queue to comfortably meet every date you are promising to your readers. While this has become less true of the airline industry after the American Airlines and US Airways merger, it is more true every day in the blogosphere, especially in hyper-competitive industries that have a lot of quality content marketing such as information technology and marketing. Sure, you could publish only self-promotional posts. But why would anyone read them? Or share them? When writing every post, you must ask yourself the central value proposition question – If I am a [particular prospect, e.g., IT manager], why should I [read this blog post] rather than [get information from any other source, anything from an industry magazine to a competitor’s blog]? The end results of every blog post must be to serve your audience. So, focus on value as your top objective – it is more important than length, promotions or frequency. Blog titles aren’t just titles, they’re also ads. They might show up in RSS feeds, or tweets, or along sidebars of a newsletter. When writing a headline, you have to communicate enough value so your ideal prospects want to click on the headline and read more information. Clearly show this blog post is relevant to an audience. This is especially important for B2B marketing. Let marketers know which job functions or industry issues you’re discussing, so they know it is relevant for them. For example, “Email Marketing Basics: 4 tactics of the incredible email marketer” is clearly aimed at email marketing specialists who are fairly early in their career. Clearly show the value of reading the post. For example, “The Best Blog Titles for Your Content: 6 Best Practices for How to Get the Click.” Adam Vavrek clearly communicates the value for reading the post – learning a specific number of ways (6) to get people to click and read more. This is another place where, and you’ll notice a common theme here, you need to communicate value. In this case, to convert a casual browser – who found a specific post through organic search or social media – into a long-time, committed reader. By creating the value proposition for your blog, you are essentially answering that question. For example, if you are a systems integrator in Jacksonville, you likely don’t want a header that says, “IT Industry News and Information.” With that header, you’re competing with every other IT news source on the globe. Understanding this value could also help shape what you name the blog. For this example company, we might want to call it the “Jax Database Blog” if your target companies are all in the Jacksonville area. As discussed above, your blog posts shouldn’t sell — they should be about value for the audience. However, a key element of content marketing is the marketing. Hey, you’re a marketer – this is an area that should come naturally to you. Have fun! Some blogs are pretty random when it comes to tags and categories. Some overuse “general” or “miscellaneous” categories, which defeats the purpose of a category in the first place. This is an area where a little forethought really helps. Once you’ve set up the overall value of your blog, determine the key elements of that value you will be communicating on your blog. It doesn’t hurt if these tie into your SEO keyword strategy, as well. For example, if you’re a homebuilder, key categories might be the phases of the purchase decision and home construction. Then, you can use tags to highlight key topics discussed in each blog post. So, a blog post about a luxury home built with recycled materials in one of your Jacksonville neighborhoods might be in the “Construction” category and include tags like “luxury,” “green building” and “Jacksonville.” To help with consistency, create a standard list of tags every blogger at your company can use. One person’s “green building” is another person’s “sustainable” and a third person’s “eco-friendly.” A mix of these terms in the body of the post itself can help with SEO. However, being consistent with your categories and tags will not only help readers navigate your blog, it can help you pull material from your database for later compilations and content re-use. For example, a special report PDF featuring “10 luxury homes using green-building techniques” is much easier to pull together if you are consistent with your tags. A major value of a blog is its shareable nature, and the ability for your audience to distribute it for you. To facilitate this, social media integration is key. The jury is out on the best way to do this. Some blogs prefer having as many social media sharing options as possible littering the top, middle or bottom of the post like signs in Times Square, all calling for your attention. Personally, I’m a fan of one clear, key call-to-action for your fans to share based on their social media usage. In the case of the MarketingSherpa blog, we use the retweet button. But, we also include more sharing options in a subdued fashion at the bottom of the post, for those highly motivated to use a different social network. We settled on Twitter as the main social network by looking at our analytics, and finding Twitter was the main source of inbound traffic from a social network. Also, qualitative research from interactions with our audience showed that Twitter was the most popular social network. For your audience, a different social network may be more popular. Use your analytics and audience interaction to determine which social networks to feature prominently on your blog. Whatever you choose, having a counter on your blog showing the number of shares will instantly bring life to your blog, and show others are reading it. If you’re just starting out, it will help to do some industry outreach first to make sure others are reading it, before adding a social share counter button. Nowhere is this truer than on a blog. Let’s think back to the newspaper analogy, where readers come to rely on and enjoy hearing from Paul Krugman, Thomas Frank, Mike Lupica, etc. Your author bios are a way for your audience to connect both literally by including Twitter and LinkedIn info, and figuratively by understanding how that author’s experience can help the reader better understand a topic. You might consider creating a separate page with author bios, and linking to it from your top navigation or a right-hand column. Loved the article- very very informative and incredibly true! Tweeted about it right away- as soon as I hit tweet, there you were for me to FOLLOW- Although I would have done this, amazing that it was just there, super easily connected with just one click. Have to ask, how do I do this?! Thanks in advance, and so great to connect! Thanks for the kind words April. If you would like to set up similar functionality on your blog, to allow people to follow you after they tweet, you can install a plug-in called WP Tweet Button. This page — http://wordpress.org/extend/plugins/wp-tweet-button/screenshots/ — in the second screenshot, shows where you can add the username of the author. Speaking of plug ins, we are using the same WordPress template as you (iNove), but we’re considering moving to a new template simply because updates and plug-ins are no longer working or supported. How to you keep yours up to date? Thanks for bringing this up Steve. This is a great question due to the nature of WordPress being an open source community project. The iNove theme is unfortunately not kept up-to-date by its original contributor(s), thus attributing to some issues with core and plugin updates. Our development team must closely monitor and test the impact of each patch release to ensure it doesn’t affect functionality or page layouts. This may not be a viable option for everyone, but it is crucial to keep a WordPress site (including plugins) up to the newest version. Many of these updates contain security patches to help protect your site against savvy individuals who try to exploit security holes. The other unfortunate issue is that various nifty new plugins don’t necessarily work out of the box, or require custom alterations to the theme in order to fully work. If you’re considering a theme which is more updated, I would recommend exploring the various collections of themes offered freely on http://wordpress.org/extend/themes/ — There’s an abundant to choose from on there. You can also use the Tag Filter on this page — http://wordpress.org/extend/themes/tag-filter/ to help find a theme similar or more suitable based on your toggled preferences. Thanks for another great article! Great way for any type of blogger to evaluate where they stand. I have couple questions and comments. First, you mention we need a good relevant title and heading. How do we standout from other bloggers or articles with similar or same title. The problem that I see is, the more relevant the title/header is the more generic it looks. Once again appreciate the article.